US: Noble Environmental Power has ordered 33 Vestas V90-3.0MW turbines for its 99MW Granite Reliable Windpark in New Hampshire. The project, which is currently under development, is the largest commercial-scale wind farm in the state. The turbines are expected to be delivered by the second half of 2011. It is Vestas’ second order for New England. 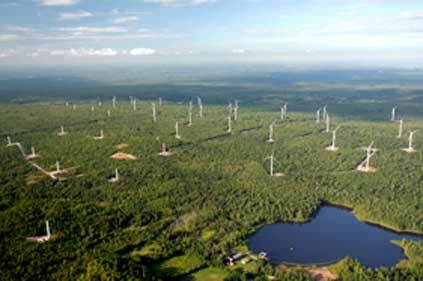 The company supplied 22 V90-3.0 turbines for the Kibby 1 project in Maine that went online in 2009. It is currently installing an additional 22 turbines for Kibby 2. Speaking about the order, Walter Howard, CEO of Noble Environmental Power said: "The turbines, which will be the largest-capacity units in Noble's fleet, will maximise the project's wind resource, providing clean, reliable electricity and economic growth opportunities for New England." Noble has 726MW of wind farms in operation in Texas and New York. It also has 1,900 of projects in development across the country. The orders are in addition to the 9GW already announced by Vestas for 2010 as part of its 2009 results.